Margarita is characterized as hard-working, courageous, and strong willed. She is very methodical and likes to plan things out thoroughly which make her slow at time. 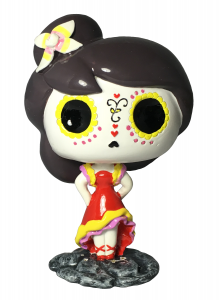 Other Chibi Muerte tend to complain a lot about her when she goes through her process but the results are always spectacular. 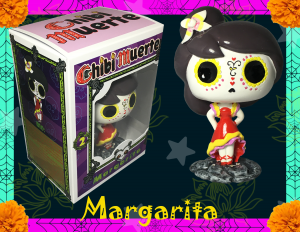 Margarita is the medical Chibi Muerte. She is the one you go to when you are injured. She will patch your hurts and send you on your way. 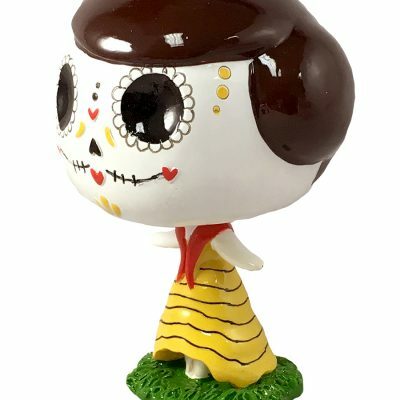 You should watch out and not anger Margarita because she can be a dangerous hot head. When that happens, she might stump you into the ground. But it is ok when she cools down, she can patch you up. She also craves attention at times and will awkwardly hint to get recognition and credit for anything successful that she accomplished. She can also be very righteous and courageous. She will always defend the weak and the innocent. There is a bit of a super-heroine in her and will always come to protect and defend her friends. 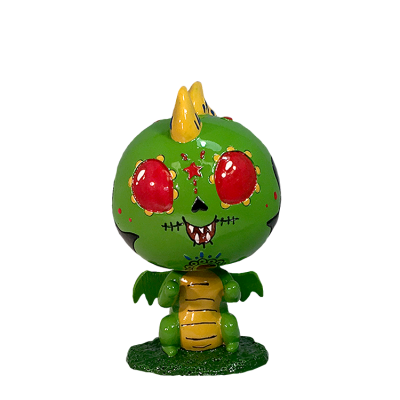 Margarita Emerald GID Exclusive. ECCC 18 exclusive.